MH Impact WordPress Theme is a modern business WordPress template which is suitable to create flexible and up-to-date business websites to present your services and offers in a professional way. After you have installed the theme to WordPress, please follow these simple steps to configure the theme. If you are new to WordPress, we recommend you have a look at a few basic WordPress tutorials first. A good place to start is the WordPress Codex: Getting Started with WordPress. Now have fun creating awesome websites with MH Impact. If you would like to configure your site like the theme demo, you’ll need to create a static front page first and then place the widgets on the front page. In order to set a static front page with the widgetized layout, please create a new page with name “Home” (or anything else) and select “Homepage” as template. In the following please navigate to “Settings => Reading” in your WordPress dashboard and set that page as static front page. In case you need more help with creating a static front page in WordPress, please read and follow this tutorial: How to set a Static Front Page in WordPress. 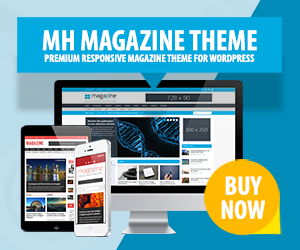 MH Impact WordPress Theme has in total 7 widget locations included. After you have completed the setup of your static front page (as stated above), you can navigate to “Appearance => Widgets” in your WordPress dashboard and easily drag & drop widgets in the specific widget locations. To arrange your widgets, you can simply drag & drop widgets in widget locations / sidebars when you navigate to “Appearance => Widgets” in your WordPress dashboard. There you will find a collection of default WordPress widgets and 10 custom widgets that are included in MH Impact. Please note: 8 custom widgets are marked with (Homepage) – those widgets are specified for the homepage and thus can only be used on the widgetized “Homepage” template (for more details, please see next section). MH Impact includes custom widgets like: MH Pricing Tables (Homepage), MH Custom Pages (Homepage), MH Call to Action (Homepage), MH Blog (Homepage), MH Google Maps (Homepage), MH Buttons (Homepage), MH Slider (Homepage), MH Custom Slider (Homepage), MH Recent Posts and MH Facebook Likebox. As mentioned before, there are 8 widgets that have been exclusively created for use on the widgetized “Homepage” template. In general the widget locations on the “Homepage” template haven’t any padding applied, so probably other widgets provided by plugins or default WordPress widgets won’t work well there. It’s recommend to only use the built-in widgets on your front page that have been created for this purpose. Quick Tip: In case you want to display additional content on your front page besides the widgets, you can add content through the WordPress editor or by using a text widget with custom content or shortcodes that have been provided by plugins for example. This widget shows larges slides on your homepage. You can choose to show slides from one category or all categories; besides you can filter multiple categories by ID (how to find the category ID) or filter posts by tags. You can define how many posts/slides you want to display, skip posts and choose the post order (latest, random or popular). The slider uses images/thumbnails with size of 1120 x 476px, so please ensure to upload images with proper size and regenerate your thumbnails after you have changed your theme. With the “MH Custom Slider” widget you can display maximum 5 custom slides. For each slide you’ll need to enter title, custom URL and custom image URL. If you prefer, you may choose to open the link in a new tab/window. The MH Call to Action widget is ideal to encourage visitors to navigate to a special offer, service or else. To setup this widget, please enter lead and sub-title – they will appear on the left side. For the small button to appear on the right side, please enter a short button text like e.g. “Click here”. To link to a certain page or else, please also enter your custom button URL. The “MH Custom Pages” widget is supposed to link to 3 pages of your choice. To select the 3 pages you’ll need to enter the page ID for each of the pages. In order to find the page ID, please navigate to “Pages” in your WordPress dashboard and hover with your mouse cursor over the selected page – in the lower left corner of the screen a URL with the page ID number will be displayed (…post=page ID number…). Now enter 3 page ID numbers seperated by comma. In addition you may choose to display/hide thumbnails and excerpts. Each “MH Buttons” widget will display two appealing large buttons showing a short text as well as an icon. For setup, please enter a significant button text. For the button icon you’ll need to choose a Font Awesome icon and enter its given name into the widget. To link the button to your favored page or else, you have to enter a custom URL in the section button link. The “MH Pricing Tables” widget is designed to display maximum 3 pricing tables side by side. It is also possible to only show 1 or 2 tables. And in case you would like to show even more pricing tables, you will have to use the widget two, three or more times accordingly and place it below each other. For each pricing table you’ll need to enter title, price, list element and a custom URL (optional) if you want to link to a specific page or else. With the MH Google Maps widget you can display a map of your location to your visitors/customers. To setup this widget, you’ll need to enter the preferred address in Google maps. Then open the settings gear icon in the bottom right and click Share and embed map. Select Embed map and copy the provided iframe code. Now paste only the URL into field “Map Embed URL” of the MH Google Maps widget (e.g. “https://…”). In addition you can also enter a custom text to for example display your full address or else below the widget. The MH Blog widget can be used to display posts from your blog. You can limit the post number or skip posts. Besides, you are able to show latest, random or popular posts. You can display posts from one category or all categories; or you can filter multiple categories by ID (how to find the category ID) or filter posts by tags. In general WordPress themes have defined their own image dimensions and thumbnail sizes. These thumbnails are automatically generated by WordPress when you upload an image. In case you have changed your WordPress theme, it can happen that the thumbnail requirements of your new theme do not match the sizes of the available thumbnails in your media folder anymore. If that’s the case, your thumbnails won’t look consistent in size and you’ll need to regenerate your thumbnails. MH Impact WordPress Theme will use featured images for the thumbnails on archives and in the custom widgets. If you have already uploaded images to your site or added images manually to your posts and if these images don’t appear as thumbnails, please read and follow this: How to use featured images in WordPress. You can select your favourite font from a collection of most popular Google webfonts in the theme options panel under “Typography”, and in addition you may also easily change the color scheme of your theme with a few simple clicks by using some awesome colorpickers. We have extended the basic color options of WordPress under “Appearance => Customize => Colors” in your WordPress dashboard with some new options to change the colors of your theme. This way you may create your favourite color scheme. If you want to display social icons in the header, please create a custom menu with custom links to your social media channels in your WordPress dashboard under “Appearance => Menus” and assign this menu to the “Social Icons in Header” menu slot. The theme will automatically recognize the social networks based on their URLs and display the specific icons accordingly. At the moment the following social networks are supported: Behance, Dribbble, Facebook, Flickr, Google, Instagram, LinkedIn, Pinterest, Reddit, Soundcloud, Tumblr, Twitter, Vimeo, Xing and YouTube. MH Impact Business WordPress Theme has included a “Contact” page template with an additional sidebar to display a different sidebar on your contact page than on other posts and pages. If you would like to use this template for your contact page, you could for example place the “MH Facebook Likebox” widget and a text widget with your contact details in the “Contact” widget location under “Appearance => Widgets”. MH Impact WordPress Theme also supports the popular “Contact Form 7” plugin to easily create working contact forms with only a few clicks. To learn more about creating a contact form, please read the following: How to create a working contact page in WordPress. MH Impact WordPress Theme has included a collection of over 400 great and useful icons by Font Awesome. You can view all of these icons in detail on the Font Awesome website and use them as you prefer on your own website to give your content a personal or professional touch. To use the Font Awesome icons in the “MH Buttons” widget to display services or else, you simply have to enter the name of your chosen icon. If you would like to use shortcodes to easily add styled elements like tabs, columns, boxes, accordions or else to your website, we would like to recommend the “Shortcodes Ultimate” plugin. This plugin has included a great bunch of useful shortcodes to easily customize your website. You can find more information and the documentation on the plugin site. If you want to learn more about WordPress, MH Impact WordPress Theme or want to read additional tutorials, please have a look at our support center.